We'll be posting writings related to the book throughout the week. Below is an essay by cultural anthropologist Katherine Verdery, first published in Daedalus in 1993 and reprinted in Mapping the Nation. Bulevardi Bill Klinton in Pristina, Kosovo. Nation and Nationalism: What are They? During the 1980s and 1990s, the scholarly industry, built up around the concepts of nation and nationalism, became so vast and so interdisciplinary as to rival all other contemporary foci of intellectual production. I take ‘nation’, anthropologically, as a basic operator in a widespread system of social classification. Systems of social classification not only classify; in institutionalized form, they also establish grounds for authority and legitimacy through the categories they set down, and they made their categories seem both natural and socially real. Nation is therefore an aspect of the political and symbolic/ideological order and also of the world of social interaction and feeling. It has been an important element of systems of social classification for many centuries. This is not surprising, given its root meaning, ‘to be born’ – an idea crucial to making any system of categories appear natural. As the historian Eric Hobsbawm, among others, reminds us, however, it has had many different meanings historically: it has been employed in reference to guilds, corporations, units within ancient universities, feudal estates, congeries of citizens, and groupings based in ostensibly common culture and history. In all cases, it was a sorting device – something that lumped together those who were to be distinguished from those with whom they coexisted – but the criteria to be employed in this sorting, the thing into or for which being born mattered, such as the transmission of craftsmanship, aristocratic privilege, citizenly responsibility, and cultural-historical community, varies across time and context. In the modern period, nation has become a potent symbol and basis of classification within an international system of nation-states. It names the relation between states and their subjects and between states and other states; it is an ideological construct essential to assigning subject positions in the modern state, as well as in the international order. That is, nation is crucial to the way a state is linked to its subjects, distinguishing them from the subjects of other states, and to the state’s larger environment. As a symbol, nation has come to legitimate numerous social actions and movements, often having very diverse aims. It works as a symbol for two reasons. First, like all symbols, its meaning is ambiguous. Therefore, people who use it differently can mobilize disparate audiences (both internal and international) who think that they understand the same thing by it. Second, its use evokes sentiments and dispositions that have been formed in relation to it throughout decades of so-called nation-building. Nationalism, in this perspective, is the political utilization of the symbol nation through discourse and political activity, as well as the sentiment that draws people into responding to this symbol’s use. Nationalism is a quintessentially homogenizing, differentiating, or classifying discourse: one that aims its appeal at people presumed to have certain things in common as against people thought not to have any mutual connections. In modern nationalisms, among the most important things to have in common are certain forms of culture and tradition, and a specific history. But modern nationalisms have operated in the name of at least two major meanings of nation as a state-subject relation. Eric Hobsbawm identifies the two principal senses of nation in modern times as: a relation known as citizenship, in which the nation consists of collective sovereignty based in common political participation, and a relation known as ethnicity, in which the nation comprises all those of supposedly common language, history, or broader cultural identity. The latter is the one most often invoked with the term nationalism, but it is not the only meaning. The confusion and overlap of these meanings in politics has confounded scholarship whenever it takes nation and nationalism to mean only one thing. We can identify additional meanings of nation that have insinuated themselves into political discourse, such as the state-subject relation attempted under state socialism, emphasizing a quasi-familial dependency I call socialist paternalism.1 Any of these (or other) meanings, or some combination of them, might apply in a particular use of the symbol nation; its meaning cannot simply be presumed. These observations suggest three pitfalls that scholarship on nation might strive (and has often not managed) to avoid. First, it should explore which sense of nation is apt to the context in question, rather than imposing a modern sense on a medieval reality, a French sense on a Kenyan reality, or a nineteenth-century sense on the evolving reality of today Second, it should treat nation as a symbol and any given nationalism as having multiple meanings, offered as alternatives and competed over by different groups manoeuvring to capture the symbol’s definition and its legitimating effects. This means we should not treat nationalism itself as a social actor and ask whether it is good or bad, liberal or radical, or conducive to democratic politics. Rather we should ask: What is the global, societal, and institutional context in which different groups compete to control this symbol and its meanings? What are the programmes of the different groups? Radical? Liberal? Reactionary? What are the social conditions that predispose towards success for one group and one programme over another? This approach takes the ‘ism’ out of nationalism and lodges agency back in human beings, constrained by social structures. It also leads us to wonder if the term nationalism is adequate to the inflation of its meanings and uses. Third, given the crucial ideological role of nation in linking states with their subjects, scholarship should make a concerted effort not to be conned by the terms of national ideologies: not to treat nations as actually defined, for example, by culture, or descent, or history. We should take those terms instead as objects of study and ask: What is the context in which one or another definition or symbolization of nation operates? What is it accomplishing? Is it doing work for arguments aimed elsewhere rather than at national questions per se? This third point can be illustrated by exploring five possible areas for inquiry into nations and nationalism. How Should We be Studying Nations and Nationalism Now? What Underlies the Notion of Identity? We tend to write about national identity as if the second term were not problematic, as if everyone ought to have identities or to have certain kinds of identities, and not too much of some of them. Where has the notion of identity come from, and why has it become important for human beings to possess them? What specific notion of person or human being is implied in the concept of identity, and what is the historical specificity of this concept? By what political, economic, social, and symbolic context is it informed? How are identities socially constructed, and how are persons made who have identities? This inquiry overlaps with the notion of ‘possessive individualism’ – with the historical rise of monads called individuals for whom possessing was to be a defining trait – and it joins the matter of nation because nations are conceived as collective individuals. Since at least the writings of the German philosopher and theologian Johann Gottfried von Herder, nations are conceived – like individuals – as historical actors, having spirits or souls, missions, wills, geniuses; they have places of origin/ birth (cradles, often, in the national myth) and lineages (usually patri-lineages), as well as life cycles that include birth, periods of blossoming and decay, and fears of death; they have as their physical referent territories that are bounded like human bodies. Nations, like individuals, are thought to have identities, often based in so-called national characters. National identity thus exists at two levels: the individual’s sense of self as national, and the identity of the collective whole in relation to others of like kind. What is this peculiar concatenation of ideas all about? What is the socio-historical efficacy of the notion of identity, with its seemingly contradictory root meanings of same, as an identical, and unique – root meanings that, like national ideologies, simultaneously homogenize and differentiate? How Do People Become National? Exceedingly helpful here is a distinction the anthropologist John Boreman makes between nationalism and nationness, the former referring to conscious sentiments that take the nation as an object of active devotion, the latter to daily interactions and practices that produce an inherent and often unarticulated feeling of belonging, of being at home. These practices and routines may range from the relatively mundane rituals of courtship and family-making, as influenced by the policies of the state, to the relatively rare and spectacular, such as participation in warfare, which may have been essential to building devotion to the nation during the early-modern period so that such devotion could be presupposed by war-makers later on. Beneath this inquiry rests a Foucauldian premise about the creation of modern subjects through the often invisible practices (what Foucault calls microphysics) of power. To research it would direct attention away from the noisy and visible rhetorics of nationalists and toward the techniques through which receptive dispositions have been quietly laid down in those to whom they appeal. How Variously is Nation Symbolized? What do we gain by seeing the nation as a symbol rather than as a thing? In recent anthropological writings, a concern with nationalism has given way to seeing national rhetorics as plural, as elements in larger contests to define the meaning of national symbols and to define the nation-as-symbol itself. For such an objective it no longer makes sense to use the term nationalism, for the point is to see how a single symbol, nation, takes on multiple meanings. Groups orienting to it all take the nation to be the paramount symbol, but they have different intentions for it. Various things enter into their conflicts – contrasting ideas about authenticity, about the nation’s true mission, about cultural patrimony or heritage, about national character, and so forth. This research asks how ideas about nation and identity are produced and reproduced as central elements in a political struggle. It sees nation as a construct, whose meaning is never stable but shifts with the changing balance of social forces, and it asks what kind of leverage this construct has afforded certain groups -and why those groups rather than others. To take seriously the use of nation as a symbol means a close inspection of the social tensions and struggles within which it has become a significant idiom – a form of currency, used to trade on issues that may not be about the nation at all. For example, in postsocialist Eastern Europe there is widespread stereotyping and scapegoating of Gypsies, seen as lazy and thieving. If one thinks ethnographically about these stereotypes, it becomes apparent that people use Gypsies to symbolize the dislocating introduction of markets into the former socialist bloc. Gypsies are not the only ones engaged in trade, yet responsibility is assigned to them for much that people find confusing and upsetting in the new postsocialist order. This kind of approach helps to account for why group boundaries of categorizations can persist even in the absence of members of the group in question, as with anti-Semitism in many Eastern European countries having scarcely any Jews. National symbolization includes as well the processes whereby groups within a society are rendered visible or invisible. For the project of nation-building, nonconforming elements must be first rendered visible, then assimilated or eliminated. Some of this can occur quite physically, through the violence most recently associated with ‘ethnic cleansing’ in Bosnia-Herzegovina. But short of this are other, symbolic violences through which difference is highlighted and then obliterated. Notions of purity and contamination, of blood as a carrier of culture, or of pollution are fundamental to the projects of nation-making. They merit more attention than scholars have accorded them. How Can We Understand the Intersection of Nation with Other Social Operators? Ethnicity, race, gender, and class can be seen, like nation, as aspects of identity formation, but they are also at the same time axes of social classification, which often appear alongside one another, interacting in complex ways. In a brilliant review article, the anthropologist Brackette Williams discusses how the projects and policies of state-making implicate many of these different axes in the homogenizing process basic to the modern nation-state’s form of rule. She sees the state as the encompassing frame within which symbolic conventions are established and fought over, legitimacies striven for, group relations and the distributions associated with them fixed. The state is the frame for producing visibility, the anchor for what prove to be politically effective notions such as culture, authentic, tradition, common/shared, or barbarian. As she writes, ‘concepts of race, ethnicity, locality, and nationality competitively label different aspects of [the identity-forming] process’; their context is a state that motivates differences as it inscribes boundaries, demarcating inside from outside, self from other. Following Williams, we should see the modern state as produced through a totalizing process that entails a relentless press toward homogeneity, which is simultaneously a process of exclusion. Such homogeneity is not necessarily pursued for its own sake; it may serve various ends, such as creating a common foundation of skills for a workforce or a space amenable to managing the state. In the latter case, a homogenizing thrust creates the nation as all those the state should administer, because they all supposedly have something in common. States vary in the intensity of their homogenizing efforts, partly as a function of the power held by political elites and the resistances they encounter. This equation may explain why certain, especially Third World, states pursue less radical homogenizations than do others. Nevertheless, to institutionalize a notion of commonality is to render visible all those who fail to hold a given feature in common. Thus, by instituting homogeneity or commonality as normative, state-building renders difference socio-politically significant – that is, it creates the significance of differences such as ethnicity, gender, locality, and race, each of them defined as particular kinds of differencing with respect to the state’s homogenizing project. 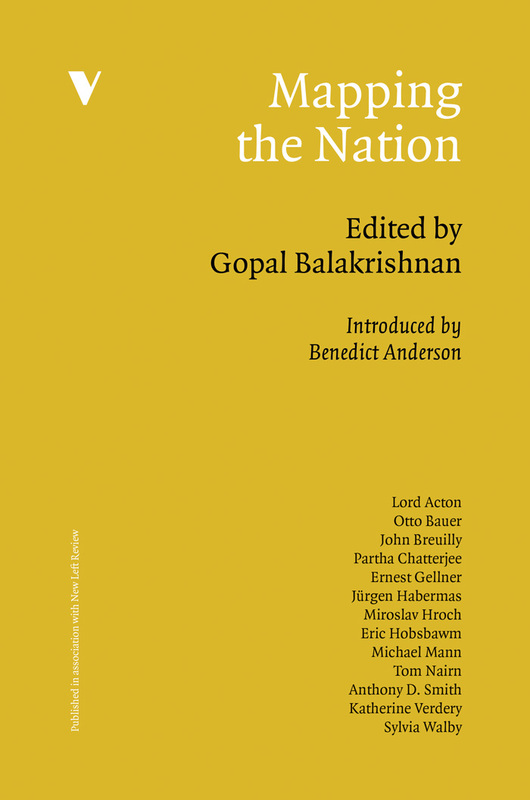 The most comprehensive possible agenda for the study of nationalism is, therefore, the study of historical processes that have produced a particular political form – nation-states – differently in different contexts, and of the internal homogenizations that these nation-states have sought to realize in their different contexts. 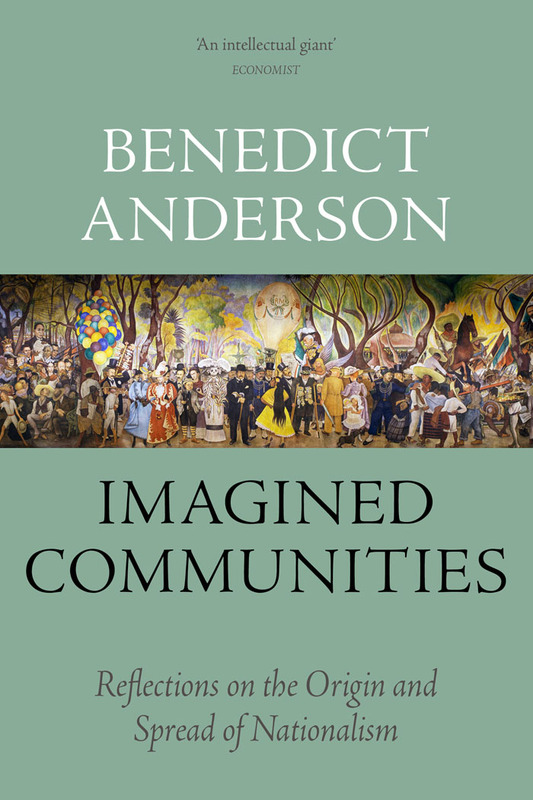 In each case, they pursued their homogenizations within locally varied understandings of same and different that implicated class, gender, ethnicity, and race – but did so variously in each place. How Does the Dissolution of the Nation-State Affect the Viability and Deployment of Nation as a Legitimating Symbol in Politics? In the world of today, participation is legitimated by the idea of nation – nation-states – even when a given empirical case realizes the classic nation-state form only imperfectly. Yet scholars and others have begun to suspect that the modern state form is, if not dying out, undergoing a major reconfiguration. The international weapons trade has made a mockery of the state’s supposed monopoly of the means of violence. Capital’s extraordinary mobility means that as it moves from areas of higher to areas of lower taxation, many states lose some of their revenue and industrial base, and this constrains their ability to attract capital or shape its flow. Capital flight can now discipline all nation-state governments. The increased flow of capital – and of populations, in its wake, producing the much commented phenomenon of transnationalism – calls into question in an unprecedented way all those arbitrary, taken-for-granted nation-state boundaries.3 The result is both real-world changes in those boundaries – as with the break-up of the Soviet Union, Czechoslovakia, and Yugoslavia, not to mention the threatened secession of Quebec from Canada, of the Celtic Fringe from Great Britain, and so forth – and also frenzies of national re-legitimation, both where the boundaries are in question and elsewhere as well. On this reading, the turmoil in former Yugoslavia merely sets in bold relief what it means to create a nation-state, with all the most violent forms of homogenizing and purification and the forcible imposition and legitimation of boundaries. But all this is happening, paradoxically, at a moment when the nation-state form itself is being superseded. If, as geographer and social theorist David Harvey claims, the new world order is one in which finance capital rather than bounded nation-states will play the chief coordinating role, what might be the consequences of this for the legitimating significance of nation as a symbol in international politics? Is nation, too, headed for the exit, as Eric Hobsbawm argues? I have my doubts. It seems more likely that nation is once again changing its referent (as well as its articulation with capital), a sign of this change being the novel grounds for which it is now being proposed, such as the Arab Nation or Queer Nation. The size requirements of viable nationhood are decreasing. In addition, persons are being compelled into single identities – alternatives are being stripped away from those who would have multiple allegiances (think of the offspring of mixed marriages in former Yugoslavia, for example) – while xenophobia and multiculturalism normalize these identities as the basic elements in socioeconomic competition and conflict. This suggests that although the idea of nation with which we have been familiar may indeed be past its peak, being born into something as a natural condition will remain fundamental to human experience and to scholarship, even if in new ways. 1. This form of state-subject relation was referred to, in the Romanian case, as the ‘socialist nation’. Instead of emphasizing political rights or ethnocultural similarity, socialist paternalism posited a moral tie linking subjects with the state through their rights to share in the redistributed social product. Subjects were presumed to be neither politically active, as with citizenship, nor ethnically similar to each other: they were presumed to be grateful recipients – like small children in a family – of benefits their rulers decided upon for them. The subject disposition this produced was dependency, rather than the agency cultivated by citizenship or the solidarity of ethnonationalism. 2. The notion of an ‘inside’ relates to the historical rise of a notion of personality, among other things; this emerging inside was provided by the psychological investigations of Freud and others, who discovered the notion of the unconscious. See Hannah Arendt, The Origins of Totalitarianism, New York 1958. 3. For consistency’s sake, this ought to be called ‘trans-statism’.